A supplement even we can love! It's been over 100 years since Casimir Funk first proposed his theory that certain diseases were caused by a deficiency of some essential nutrients — which he labeled vitamines. The first discovery related to thiamine, or vitamin B1. He and his predecessor noted that in what is currently Indonesia, chickens that were fed polished or white rice developed a neurological disorder they called polyneuritis. Humans seemed to have a similar disorder — beriberi. When the chickens were fed the parts of the rice grains removed by the polishing process, their ailment was cured. And the same was true for the human disease. Although beriberi is hardly ever found in the US among our well-fed population, the same isn't necessarily true in the third world, as a recent report indicates. In Cambodia and other parts of Southeast Asia, infantile beriberi is a public health concern. If not arrested it can be fatal. If a pregnant woman consumes a diet deficient in thiamine, her breast milk will not supply enough to her baby to prevent beriberi. A possible means of ameliorating this situation is to fortify a commonly-consumed food with thiamine, which was the subject of this study. Dr. Kyly C. Whitfield from the University of British Columbia in Vancouver and colleagues from several institutions, reported on a double-blind, randomized 3-arm clinical trial of pregnant Cambodian women. There were 90 women in the study: each was randomly assigned to one of three groups: one group had fish sauce (a widely used condiment in Cambodia) fortified with a high level (8 g/liter), low level (2g/liter), or control (0 g/liter) of thiamine. They and their families used the appropriate fish sauce for 6 months. These women were 18-45 years old, and were 3 to 8 months pregnant with a single infant, and planned to breastfeed their babies for at least 6 months. On average, these women were 23 weeks pregnant. Blood samples were collected at the beginning of the study (baseline), and breast milk samples at the end of the study (endline). As the infants were born, they were weighed and measured within 72 hours. The primary endpoint of the study was the level of erythrocyte (red blood cell) thiamine diphosphate (eTDP) concentrations in the women's blood, breast milk, and in the babies. Levels of eTDP of the women in the control group at the end of the study were significantly lower than those of the women in each of the other two groups. But the different levels of fortification didn't result in differences in eTDP. Similarly, babies of mothers in the high level group had significantly higher eTDP than babies of mothers in the control group, but weren't different from babies in the low fortification group. 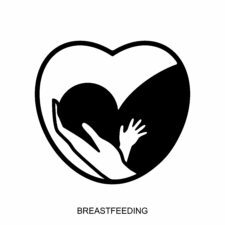 Finally, total thiamine concentrations in breast milk and the estimated thiamine intake by the infants were greater in the supplemented groups than in the control group. The authors pointed out that while the eTDP levels in the mother were significantly greater than controls at both levels of fortification, only the higher level led to the babies having a significantly higher eTDP than did babies of control mothers. The authors concluded that thiamine fortification of fish sauce potentially can prevent infantile beriberi in breastfed babies of rural Cambodian women. However, they note, further trials must be done to determine optimum levels of fortification of this condiment.